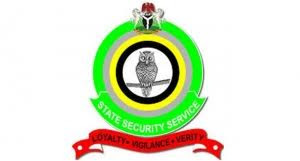 The Department of State Services (DSS) says it has successfully foiled plans by the Boko Haram group to attack the UK and American Embassies and other western interests in Abuja. During the operation to thwart this plan, five key suspects, namely: Isa Jibril, Jibril Jibril Abu Omale Jibril, Halidu Sule and Amhodu Salifu, were arrested. The service said In March, it busted a ring of ISIS linked to Boko Haram members based in Benue state and the FCT while it arrested a 20 year old Boko Haram member, Adamu Datti. The statement by the DSS further stated that, in April, two suspected Ansaru kingpins, Ahmed Momoh and Al-amin Mohammed Jamin were arrested on April 4, 2017 at Igarra, Akoko Edo LGA, Edo State. The duo were confirmed associates of Abu Uwais, a main Ansaru kingpin terrorizing residents in Kogi and Edo States. “While these terrorists are already undergoing detailed investigations, the Service stepped up its efforts at stamping out the menace of kidnapping.